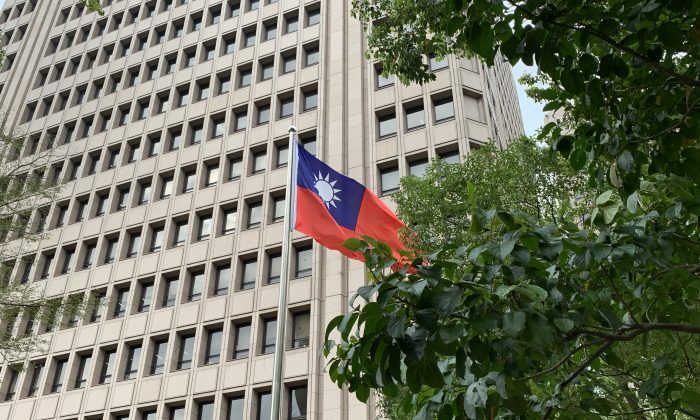 Taiwanese authorities are investigating reports by Chinese media that eight Taiwanese local officials have taken up government positions in China. The investigation was announced by Chen Tsung-yan, deputy minister of Taiwan’s Ministry of Interior, according to a March 10 article by Taiwanese daily newspaper Liberty Times. In an interview with Taiwan’s Central News Agency, Chen confirmed that his ministry will conduct the investigation. The eight individuals, who aren’t identified, are either village or borough chiefs, the lowest-ranking officials in Taiwan’s political system. They have taken up positions as executive directors of community and village Chinese Communist Party committees in Pingtan County, located in Fujian Province, which is directly across the Taiwan Strait, according to Chinese media reports. According to the Taiwan edition of Hong Kong-based newspaper Apple Daily, there are 7,828 villages and boroughs in Taiwan. Chinese media were the first to report the occurrence, including an article by state-run media Xinhua in December 2018. Chen said that the ministry hasn’t yet fully identified the individuals, as Chinese media reports didn’t reveal their names, according to Liberty Times. Chen also noted that authorities would only be able to determine whether these individuals had broken Taiwan law if the ministry is able to collect evidence confirming their government positions in both Taiwan and China. Under a law governing cross-strait relations, Taiwan residents are forbidden to hold any position within Chinese agencies, institutions, or organizations that are affiliated with the Chinese military, political apparatus, or government administration. Violators can be fined as much as 500,000 New Taiwan Dollars ($16,176). Taiwan is a de-facto country with its own constitution, military, and currency. However, China views the island as part of its territory, and has threatened to unite it with the mainland using military force, if necessary. In response to the latest incident, Taiwan’s Mainland Affairs Council, a government agency that deals with issues regarding China, warned that Beijing’s effort to recruit Taiwanese is part of its unification campaign so that the Taiwanese public would be more acceptable to the idea of giving up sovereignty and embracing Chinese rule, according to the Liberty Times. Liberty Times, through research involving earlier Chinese media reports, has identified one of the eight individuals as Tseng Ning-yi, a borough chief in Taipei. In an interview with Liberty Times, Tseng explained that her executive director position in Pingtan County, China, is merely a “title,” and that she doesn’t receive a monthly salary. Rather, she receives a stipend for her transportation and living expenses in China, where she spends a few days every month for the purpose of sharing her experience in managing a community in Taiwan. She also gives lectures around China and receives speaking fees. There are, in fact, many Taiwanese who have taken up similar government positions in China. In June 2018, the Fujian government’s official website reported that Haichang District, located within Fujian’s port city of Xiamen, has hired 35 Taiwanese to be assistants to local community directors. It isn’t known if any of these 35 individuals held any public office in Taiwan. The overseas edition of China’s state-run mouthpiece People’s Daily reported in December 2018 that 66 Taiwanese were working as assistants to community directors in Xiamen. It isn’t clear if the 35 Taiwanese above were also counted among the 66. Apple Daily published an editorial March 11 in response to the investigation of the eight individuals, warning that China’s efforts to recruit low-ranked Taiwanese officials is just the beginning—as Beijing probably has the ambition to entice city officials next. The concept of “seizing the countryside and then using rural bases to encircle and capture cities” was first coined by former Chinese Communist Party leader Mao Zedong, who adopted this method during China’s civil war to proclaim victory.